This full color atlas is a must have for the eclipse road warrior. 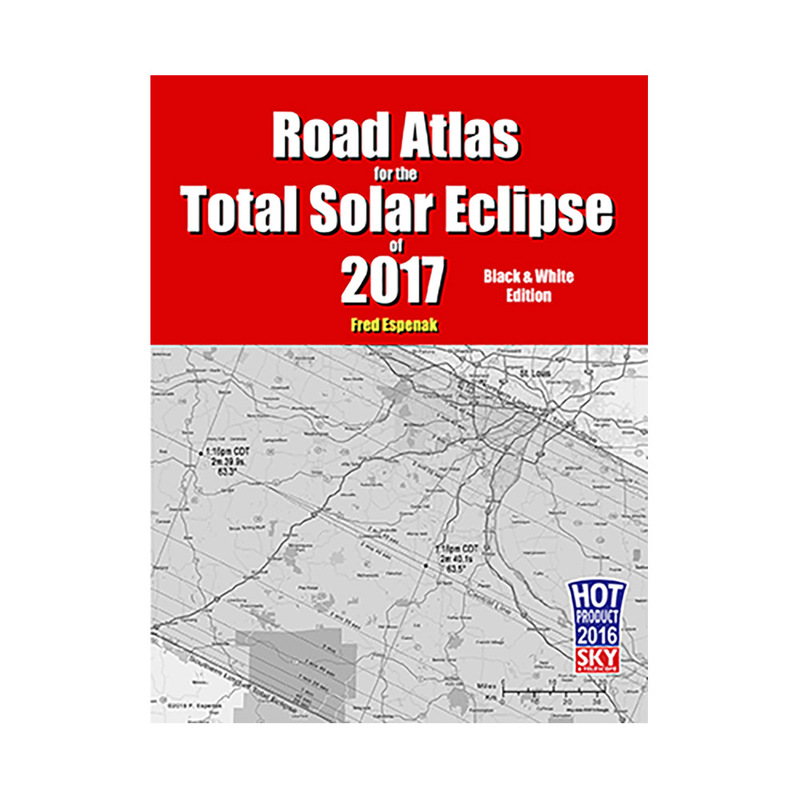 The atlas includes 37 maps, covering the entire path of totality across the US. The large-scale maps show major and minor roads, rivers, lakes, parks, wilderness areas and much more. The north and south limits, central line and durations of totality in 20 second intervals are clearly marked on each map. Lines running across the path show the local time of mid eclipse in 20 second intervals. Fred Espenak is a retired astrophysicist from NASA and continues to maintain their official eclipse website (eclipse.gsfc.nasa.gov). Fred is the author of numerous books and publications on eclipses and eclipse predictions and is a world class eclipse photographer. His incredible eclipse images are on display at his website MrEclipse.com.